LINCOLNWOOD AUTO BODY specializes in all types of collision repair work. We are recognized by major insurance companies and have adjusters for many of them on premises. LINCOLNWOOD AUTO BODY offers full service auto body repairs to get you up and running. 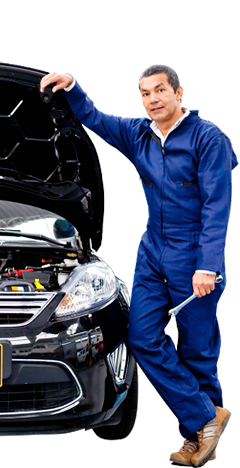 We will help you deal with your insurance company, set up a rental car, and ensure that your downtime is minimum. LINCOLNWOOD AUTO BODY will inspect your vehicle thoroughly to ensure that we identify every part that is damaged. We use only quality parts for repairs to your vehicle. As a company, we take pride in our track record for providing highest quality auto body repair.We also offer a limited lifetime warranty. We are familiar with all types of cars, trucks and SUV’s, both foreign and domestic. We don’t take shortcuts. 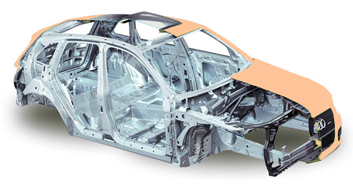 Our auto body specialists have years of experience and we only use the highest quality paint and parts to ensure your car is repaired correctly, safely and on time. We want our customers to be completely satisfied with our work and have a peace of mind when they drive away in their finished vehicle. Our customers are our livelihood, and that is why we offer a limited lifetime warranty on all of our work. In a rare event that a customer is not satisfied with our craftsmanship, they can bring the vehicle back, and we will be happy to correct the problem to their specification.